This shop has been compensated by #CollectiveBias and its advertiser. All opinions are mine alone. 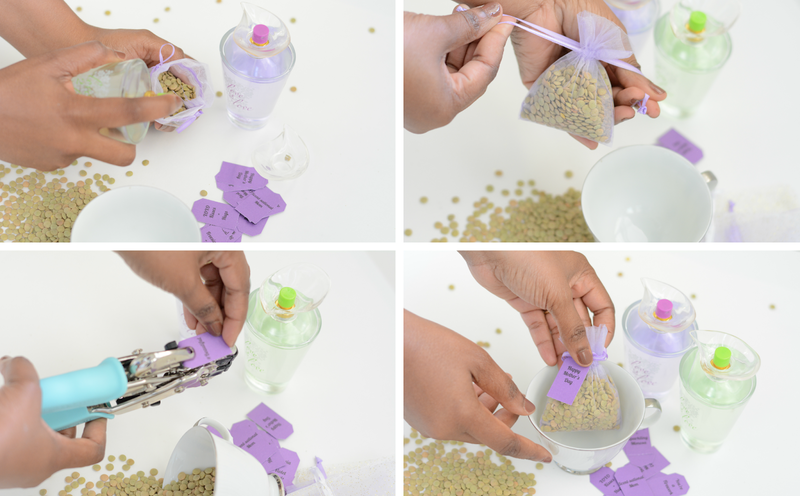 The scented sachets diy is inspired by Love2Love fine fragrances. 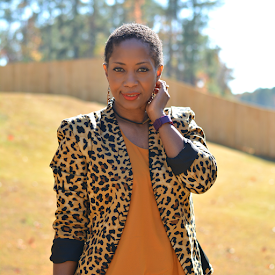 Find more great Mother's Day gift ideas by following #L2LMom on Twitter. I have a vintage purse in my closet that was given to me by my mother. She inherited it from her godmother who passed away. When I opened the purse, it smelled like her perfume even though the purse is at least 40 years old. I had not seen Godmother since I was a little girl and the scent made me think of her immediately and remember the brief moments I was in her presence. Fragrance can invoke feelings and memories long forgotten which is why it makes such a great gift on Mother's Day and what I'll be giving my mom. 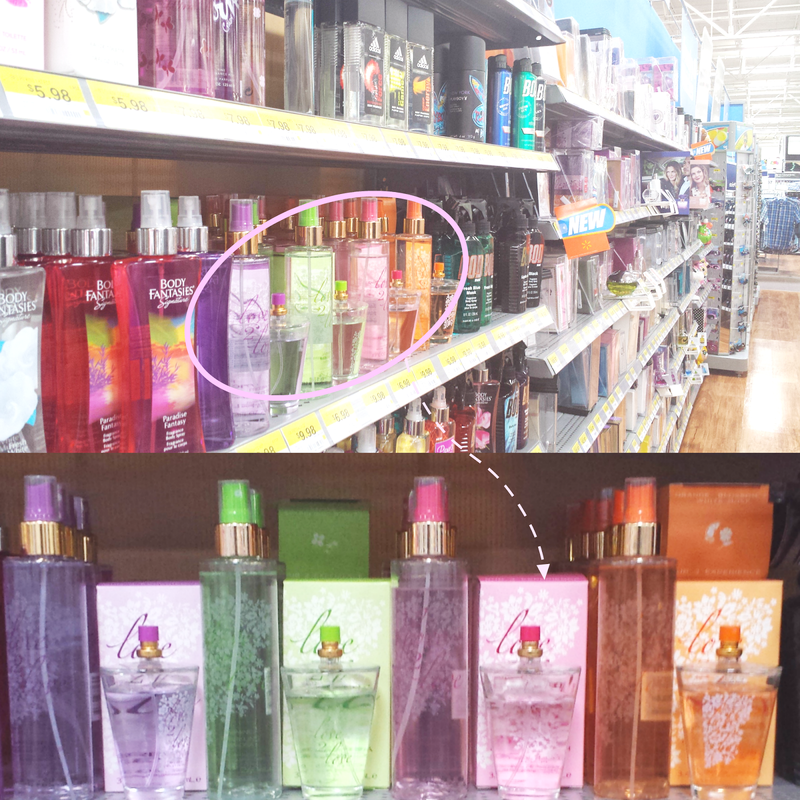 While at Walmart, I was drawn to Love2Love's fine fragrances. The pretty bottles with the whimsical petal shaped caps are very vintage romantic. I decided to take Jasmine + Sparkling Mimosa and Freesia + Violet Petals home with me. Mimosas are one of my favorite beverages and I'm sure to have 1 or 3 this Mother's Day. 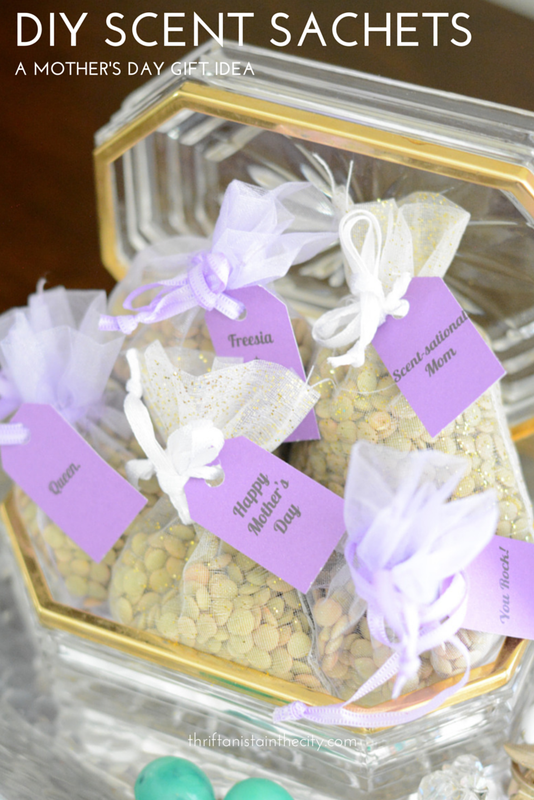 I snagged Freesia + Violet Petals too because it reminds me of my Violet. She's the reason why I can celebrate this holiday! They both smell amazing. Freesia + Violet Petals has an elegant, alluring floral scent with peach blossoms, lily petals, and lavender blooms top notes. Jasmine + Sparkling Mimosa is lighthearted and fresh with dewy peony, raspberry kiss, and sparkling mimosa top notes. Since Love2Love fragrances are such a great value at $10, they're affordable enough to buy more than one and share the scents and sachets with a few special moms in your life. They can be given out at church, at a brunch, or passing moms as a token of acknowledgment and appreciation for the beautiful lives they create and nurture. Fill a bag with lentils. 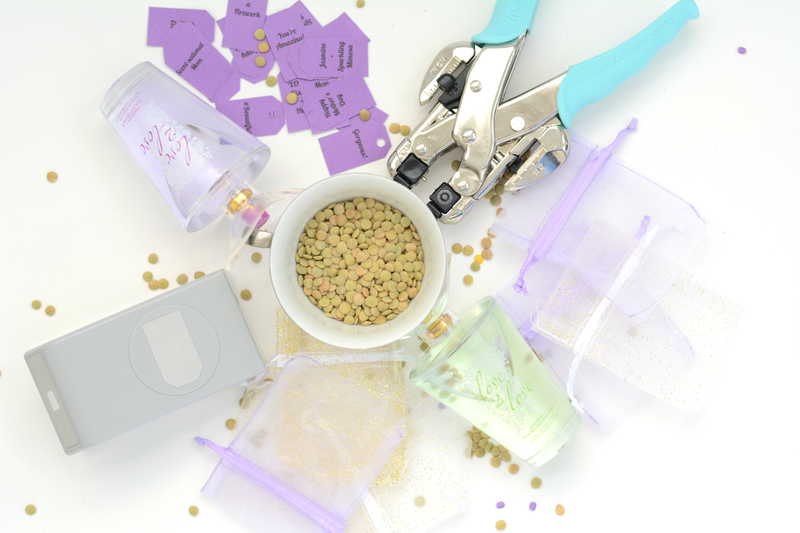 Spray a pump directly onto lentils. Shake the bag around. Spray again. Shake. Tie the bag up tightly. If you're giving the scent sachets as a gift for your favorite mom(s), you can attach tags with either a handwritten note on it or use the printable I created. Turn it into a gift set by including the entire fragrance collection and a matching scent sachet in a $.50 Love2Love gift bag which will be available May 1st at Walmart. May 1st also brings the arrival of the newest scent in the collection, Bluebell + White Tea. The captivating, radiant, delicately feminine scent has Italian bergamot, blueberry white tea, and nectarine top notes. Check the new addition out and all of the fragrances on a special Mother's Day end cap display at Walmart. 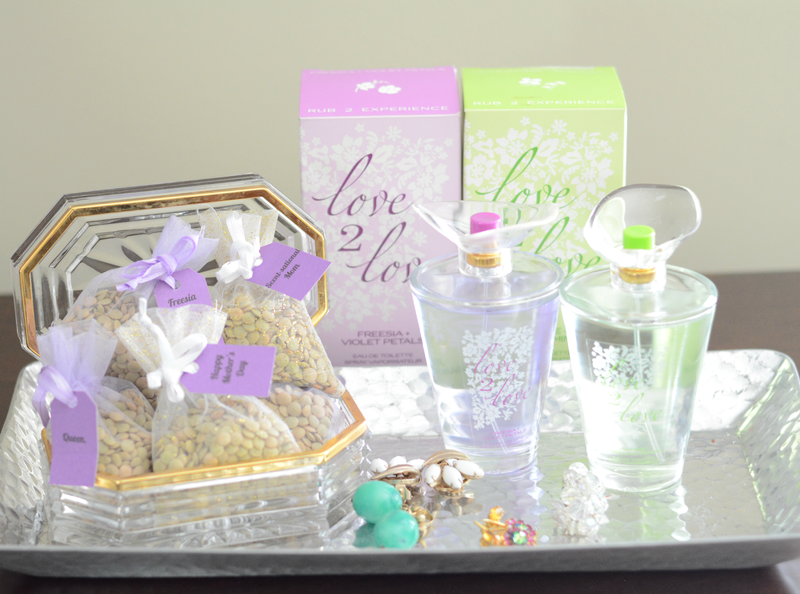 What Love2Love fragrance would be your mom's favorite? Leave me a comment and let me know!